views | Jews of Iran made me a member of the family – J. At the synagogue in Shiraz, Iran, I entered the courtyard and removed my shoes, according to local custom. The service leader stood in the center, and the perimeter of the room was lined with narrow tables and chairs. The walls needed patching and paint. 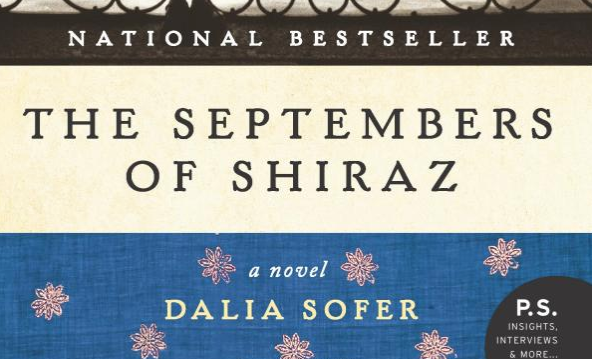 When I traveled to Iran last year, visiting Tehran, Esfahan and Shiraz, I didn’t know what to expect, although I’d been reassured that Westerners on a tourist visa have no problems. It turned out to be a fantastic journey — fun, educational, complicated and full of contradictions. The Iranians I met were warm, hospitable and, although surprised to meet an American, eager to speak with me and have their pictures taken. I had told my U.S. travel agent that I was gay, Jewish and had visited Israel many times. While I never discussed the gay angle with my Iranian guide, or anyone else in Iran, I spoke to several Iranians about Israel and my Judaism. 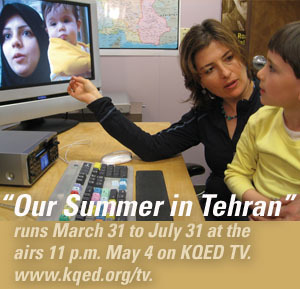 Iran is a totalitarian theocracy, despite its well-educated and tech-savvy public. Pictures of former supreme leader Ayatollah Khomeini and current supreme leader Ayatollah Khamenei and tributes to the martyrs of the 1980-88 Iran-Iraq war are pervasive. “Illegal” satellite dishes are everywhere, but it appears Western news stations are not generally available. The news media seem obsessed with the “Zionist regime,” the United States (which is called the “arrogant power,”) and the Shia/Sunni divide. I visited the spectacular tourist sites — palaces, shrines, mosques and bazaars — but was able to deviate from the established itinerary as well. 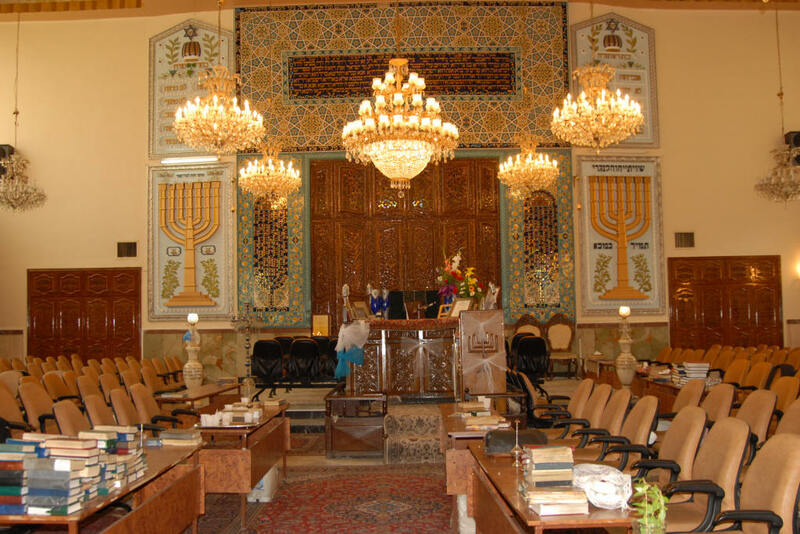 At one point I had a lengthy “religious consultation” at the Shah Cheragh shrine in Shiraz with two Muslim clerics who knew I was Jewish and with whom I had a fascinating, troubling, yet mutually respectful conversation about Israel and American politics. With an estimated 8,000 to 20,000 Jews, Iran has the largest Jewish population of any Muslim country other than Turkey. As long as they outwardly reject Zionism, Jews hold the rights of other non-Muslim religious minority groups; soon after the revolution, Ayatollah Khomeini said, “We recognize our Jews as separate from those Godless Zionists,” and his directive is still followed. The highlight of my trip was connecting with the Jewish community in Shiraz on Shabbat. I was invited to Shabbat dinner, and as I left services to walk home with my host and his young children, I was surrounded by youth, eager to speak with me; it was all I could do to break away from them. My host had no mezuzah on the outside of his house, which had a courtyard where, again, we removed our shoes. I was warmly greeted by the host’s wife and entire family. I joined the men and boys in changing into loose-fitting, slip-on pants, a custom to help recognize Shabbat m’nucha, or Shabbat of rest. The home, which appeared to be middle or lower-middle class, contained handmade embroidered Jewish-themed artwork, including pictures of Moses and the Ten Commandments. Wonderful aromas came from the food, in pots in the small kitchen as well as on the steam heater in the living room. A beautiful tablecloth was set on the living room floor where everyone sat except the older folks, who had a small table with plastic chairs. I was asked to lead “Shalom Aleichem,” which I did using the standard American melody. The family enjoyed it so much that they asked me to chant it again. We joyfully welcomed Shabbat with homemade raisin-based vodka and wine. The meal included pomegranates, plums, raisins, nuts, fresh greens, trout and flat bread, all of which were eaten by hand. Following festive dancing, singing and drumming on kitchen pots, a second course arrived, along with a few utensils. The rice-crusted dishes with layers of chicken, vegetables, nuts and fruit, stew with onions, beans and vegetables, were flavored with spices and herbs, notably saffron, cinnamon and parsley. Although they were Shabbat-observant, my new “family” allowed me to take photos and video. I was even asked to take a selfie of several of us together using their tablet, as long as I turned it on and shot the picture myself. We met again in the morning at the synagogue, where personal tallit bags were retrieved from cubby-like shelves in the wall. The service began at 7 a.m. and ran for three hours in the mostly full synagogue. Pleased that I returned, one of the leaders insisted I sit with him at a table next to the heater. I was honored with an aliyah, and the Torah portion was beautifully chanted by a 12-year-old boy. I learned that young students arrive at the synagogue each school day at 6 a.m. for breakfast and Jewish studies before heading to their regular school. Members of the community provide tzedakah to support these breakfasts, as well as afterschool and summer programs. It was a great privilege to meet descendants of this rich, 2,500-year-old Jewish heritage. The community seems very close and proud to be Jewish, while also maintaining a strong sense of belonging to the Iranian culture. Still, they do not display their Judaism in public. Kippahs were worn by all the men in the synagogue, but I saw none on the street. And the family with whom I spent that wonderful Shabbat? We stay connected via WhatsApp and email. 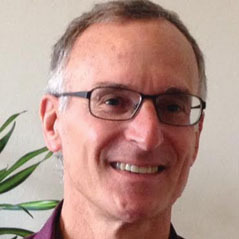 Ron Lezell is a corporate accounting consultant, treasurer of A Wider Bridge and a board member of Congregation Sha’ar Zahav in San Francisco. Ron Lezell is an independent corporate accounting consultant, treasurer of S.F.-based A Wider Bridge and a member of Congregation Sha’ar Zahav in San Francisco.